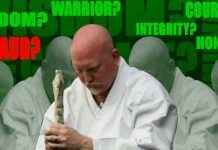 The technical standard of martial arts practitioners in the West is extremely high indeed, from the modern combat sports like Kick-Boxing and Ultimate Fighting to the more traditional arts of Karate, Jiu-Jitsu, etc Western martial artists have made their mark the world over, and are acknowledged by all as being ranked among the worlds best. However, the elite athletes and technicians referred to above are just that: Elite. Exceptionally skilful individuals at, or very near, the peak of their performance standards. Most of us may never reach that exalted status, a lot of us wouldn’t even want to. But, does that mean we shouldn’t join a club, and get a buzz out of training at our own level? Off course not! 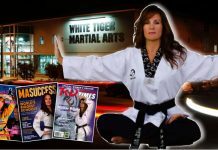 Martial arts training has something for everyone, and should be readily available to anyone who wants to give them a try. To teach all kinds of people however, takes a special skill. A skill that is completely separate to having technical ability. And that skill is called “Teaching ability” because it’s a fact that being good at your subject doesn’t mean you can teach your subject, any more than being able to drive a car makes you a good mechanic! The following will act as a guide to instructors in tackling one of the most demanding roles they can be faced with: No! Not teaching unarmed combat techniques to commandos: Teaching martial arts to toddlers! 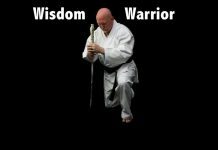 Not all martial arts instructors choose to teach very young children (4-6 years), as they know it will prove an extremely demanding task. They are, off course, quite correct in this assumption! It requires a special set of skills, and the author would certainly advice against such an endeavour unless the instructor concerned has undergone some form of specialist training to be able to deal with the complexities involved. To be able to teach a toddlers class, the instructor will need to understand something about child development, and structure the classes in such a way as to compliment and reinforce this. A pre-school child will have already begun to act independently, they will be able to change into their own budogi, and use certain equipment efficiently. In addition, they will have good levels of balance and agility, so you can reasonably expect them to be able to perform kicks, breakfalls and throws. However, it must always be remembered that they are STILL DEVELOPING, so extensive care must be taken to avoid any and all activities which might have an adverse effect upon their delicate frames (Joint locking, strangles/chokes, rolling over objects, striking hard objects, certain types of exercise, etc). The young child’s mind is like sponge when it comes to soaking up information. They love learning new things, and the instructor will need be careful in not taking them “too far, too quickly” because the mind, just like the body, can be overworked and strained. So make sure that here are regular periods of work (learning) and rest (play) Generally, Toddlers tend to learn best by “doing” (kinaesthetic) rather than too much listening (auditory) or watching (visual). That is to say that although it IS still important that the instructor does continue to both demonstrate and explain what they want the class to be doing, much more emphasis should be placed upon the doing, simply because this is an “active” learning style which requires energy and participation, rather than the more passive ones of sitting still while looking and listening to the instructor while trying not to fidget, pick-noses or fall asleep! These young learners will already have developed good problem solving ability, so the instructor shouldn’t immediately rush in to correct any minor mistake s/he has noticed (unless some aspect of safety is in danger of being compromised) Rather, they should allow them some time to try and work it out for themselves, as that way they will get a far greater sense of achievement. Even though human beings are the most intelligent species upon the planet, it is still our emotions that define who we are. The ability to “feel” rather than simply “reason” or “think” is what makes our existence so rich and varied: what makes us “human” if you will. During this period, the children will still be developing their understanding of feelings (both their own and those around them) this is a vitally important skill which will aid them in eventually becoming well-balanced adults. Instructors should show constant support and offer plenty of reassurance to the Toddlers, helping them to develop their confidence and sense of self. They should be encouraged to form new bonds and friendships on the mat, express their feelings in a socially acceptable manner and also to think about how other people feel. When implemented correctly, the above techniques will combine to result in an emotionally strong and secure child who “feels” valued as an individual. Social skills are what get us by in society at large. Any form of group learning is a “social experience”, wherein the young child will not only be learning the subject being taught, but also certain aspects of interpersonal skills and teamwork. This is where they learn about such things as responsibility, discipline and good manners. To” wait their turn” and use “please” and “thank you” (and “Oose”) etc. Children in this age group can be expected to share equipment, work well in a team, choose their own friends and wait patiently for the instructor’s attention. The acquisitions of these “socialisation” skills help them understand the basic rules and principles of society, and their place within it. They will have respect for others, discipline in themselves and (later on) more of an appreciation for law and order. Contain lots of the “fun” element. In addition, motivational aids may be employed such as badges, medals, trophies, certificates or colored “tabs” for their belts, etc. This type of “token economy” plays an important part in the encouragement of learning and attainment, and is a valuable resource in influencing and building positive attitudes and behaviour. 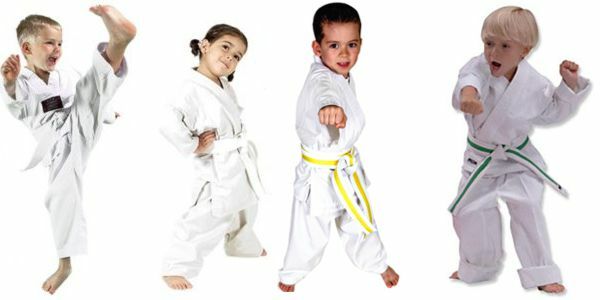 Teaching Toddlers martial arts can be an extremely rewarding undertaking as you can often see the results of your efforts almost immediately. It is well worth the extra efforts involved.